Last year, my professional goal was to make image analysis more routine in our classroom. I learned that Google Forms was the best tool in my box to collect student responses. Adding images was quick and easy, and there are few options. Although images are often used as a stimulus to a question, Forms allows us to use them as answer choices. 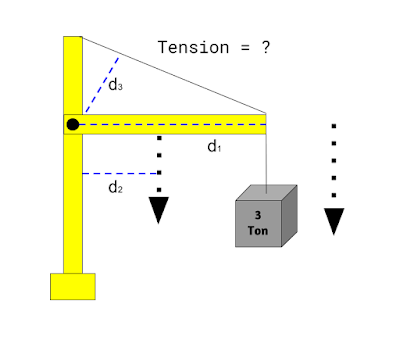 The following ideas explore possible applications of images as answer choices. 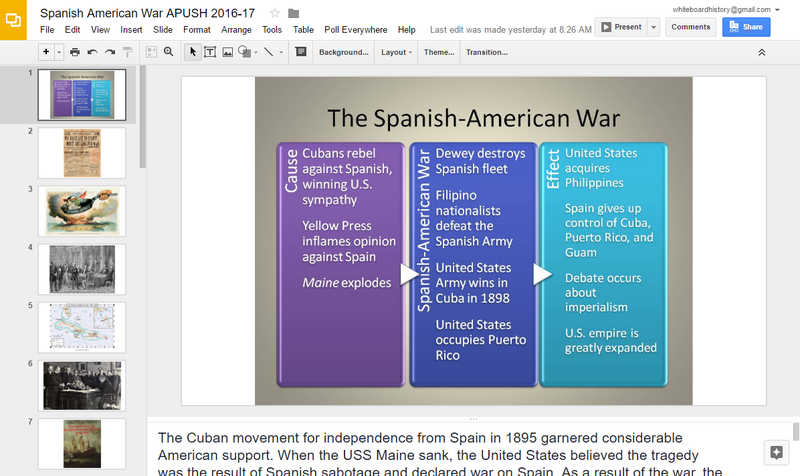 Since I usually share the work my high school history students are doing, I wanted to change it up and share ideas for a variety of subjects and levels. Please share your ideas in the comments below to add to the discussion. This stuff can be as simple or complex as you want it to be. Which image shows the correct outcome? Show different images of lines graphed on a plane. Ask students to choose the correct line graph based on a given equation. 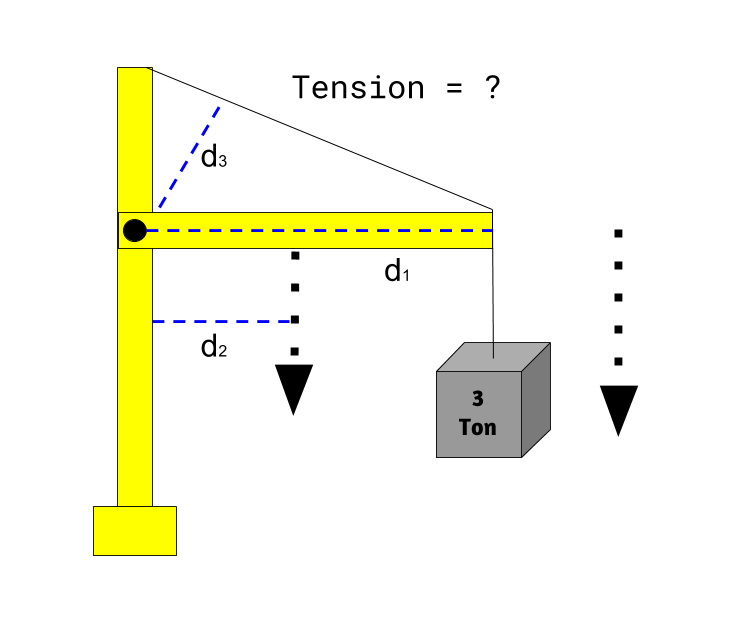 Let's say your students are calculating tension on a cable that's holding a weight, like on a crane. Show images with various distances labeled, and ask students to choose the right one relative to a given pivot, for example. Show four images of birds (sparrow, crow, chicken, penguin). Ask students to choose the bird that is least like the other three. Present a problem that requires students to select the thematic map that would would provide the most useful information. For example, if a problem requires information about public ownership of land, a map showing where parks are located in the United States would provide useful information. The example below ask for the two maps needed to gather information on wages and resources. Relating paintings and other images of art from the same period as a literary piece is an easy way to stimulate thought. For younger grade levels, provide descriptions of things or scenes, and ask them to choose the image that best fits the description. 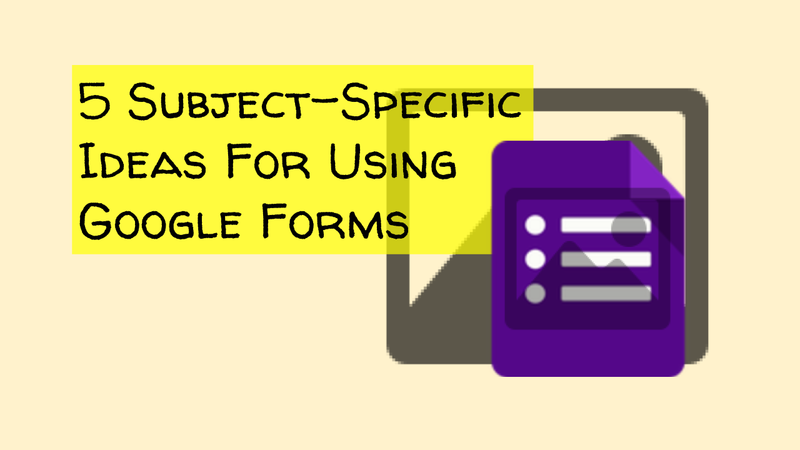 Use a form to assess students retelling stories by selecting images related to a missing chunk of text. Most people can find their way around Word, PowerPoint, and email. For many users, making websites, building courses in an LMS, or even sharing links on Google Classroom seems intimidating. But new kids are coming through the doors every year in the age of the connected classroom, so teachers find ways to integrate new tools. One of the best places to start integration is by considering how you may want use your old materials in a new way. Take, for example, your PPT or other slide presentations. Consider using them as a foundation for integrating assessment, video, audio, interactive images, discussions, and much more. I recently found iSpring, and it does all of those and more. 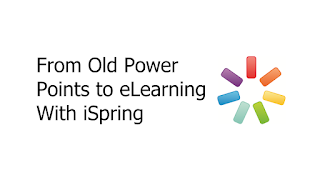 The thing that impressed me most about iSpring was the ability to bring together so many learning tools that I have already created over the years. This is an invaluable opportunity for teachers who want to build on what they've been doing, not start over with new technology. I was most interested in the variety of assessments iSpring provides as well as the ability to embed content from sites like Quizlet. 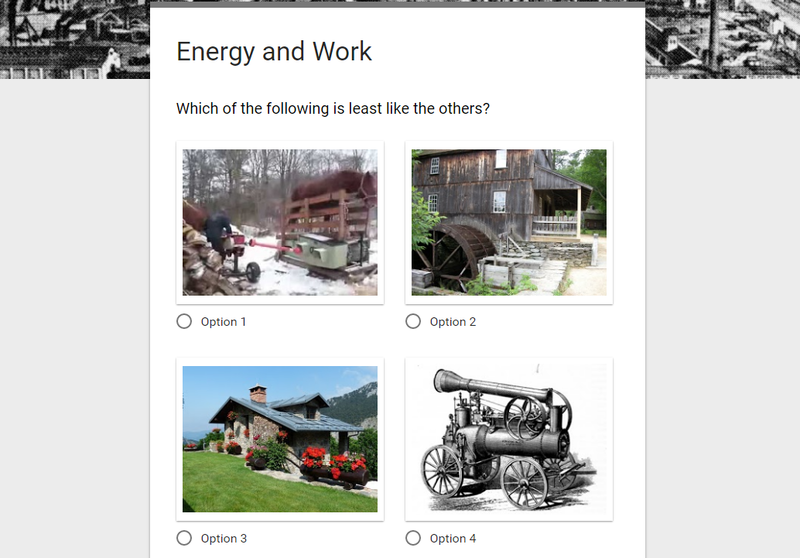 The following videos show how simple it can be to make interactive quizzes and embed content into PPT presentations. The tutorials on YouTube are fantastic. Here's a playlist on the quiz maker. Online courses are going to be offered at increasing rates over the next ten years or so. 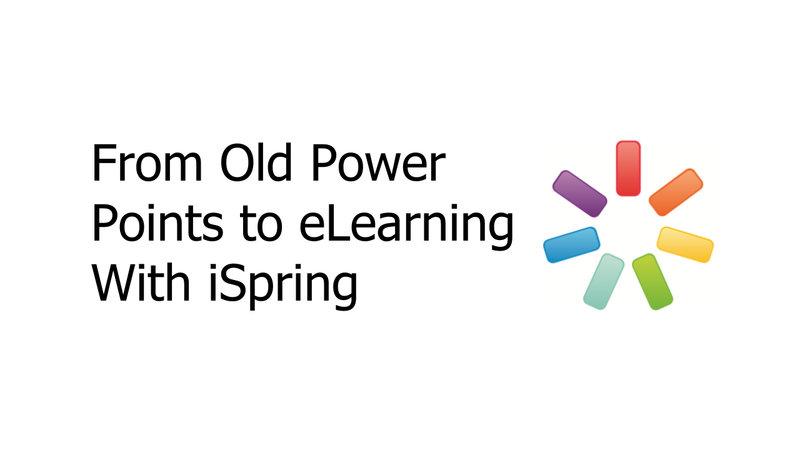 The nice thing about iSpring is that you can enhance your face-to-face materials and later use them to add content to an elearning course. iSpring is addressing the frustration of remaking too many content pieces to adjust to changing trends in workflow. In other words, this software concept has a long shelf life. "These kids don't even know how to read. I have to teach them that, too?" I hear this every year from high school history teachers. The answer is simple. Yes, we have to continue to exercise critical reading skills, and a great place to start is with main ideas. Finding the main idea is often a good candidate for the highlighter, and I wondered if there was a way to do this collaboratively. 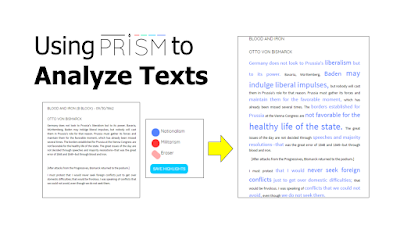 Sure, students can do this with Google Docs, but my curiosity led me to a tool called Prism. Prism is powerful tool with a simple design. It's geared for collaboration and serves fundamental needs for literacy development. The task is to analyze a text by using different color highlighters that correlate to predetermined facets. 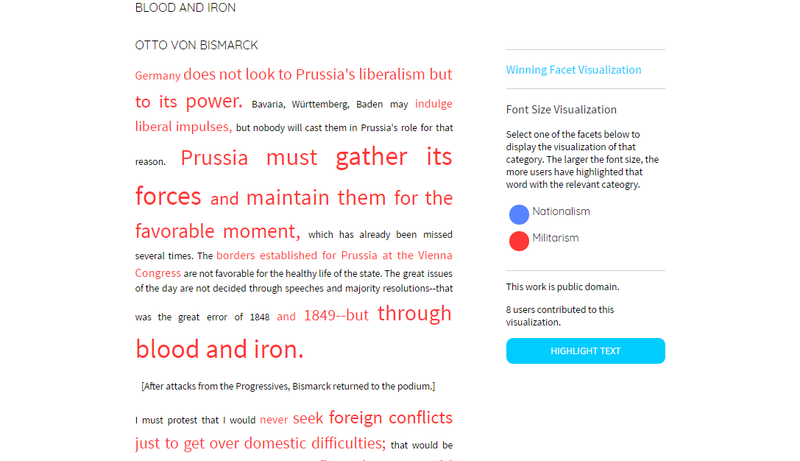 As learners highlight the text, the font changes color. 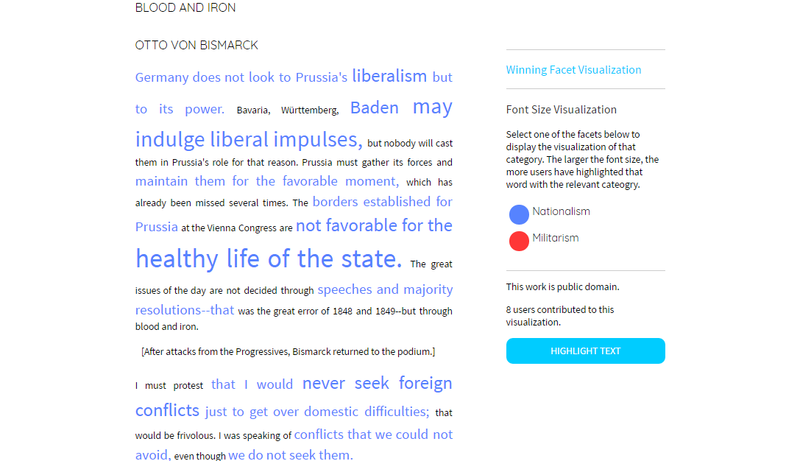 The final visualization of the text shows color differences and size differences – highlighted words with a higher frequency are larger. 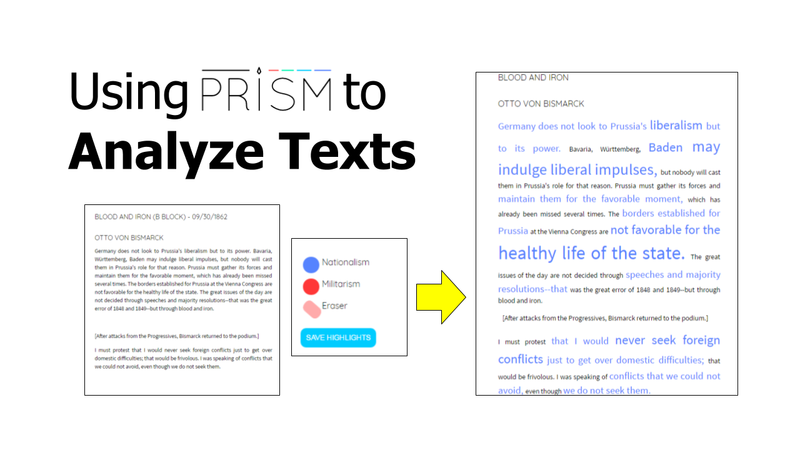 I love simple tools, especially ones that are intuitive to use, like Prism. Here are some of the benefits. Learners at all levels need to practice finding main ideas in texts that push their reading level. By seeing what peers are reporting as main ideas, it's can be easier to make the correction on one's own rather than by the pen of a teacher. After a discussion about the largest frequency highlighted words, next steps could include focusing on the most frequent words to write a summary of the text. This is an easy assignment to differentiate, too. Lower levels can illustrate the main ideas and use the words to label the illustration. Middle levels can write one-sentence summaries. The higher levels can write a three- to five-sentence paragraph and include relevant inferences beyond the text. The highlighter colors and labels are typically determined before the text analysis, but that doesn't mean students need to be left out. Instruct students to skim the text to determine the themes that should be used for a closer analysis. This teaches students critical reading strategies need continual reinforcement throughout their secondary years. Categorizing and naming the categories helps learners organize information to unpack in an essay, for example. Other applications of categorizing include writing efficient emails and agendas, skills that are invaluable in our fast-paced connected workforce. Students with limited English proficiency need extra practice finding main ideas. Sometimes the main ideas are all they can hope to extract from a text, depending on the level. Another of Prism include searching for key vocabulary. With so many different levels of proficiency in a class, the visualization of the trouble words helps prioritize the us of class time. Lastly, ELLs need to feel confident. They are dealing with so many different struggles that require confidence to proceed. Anytime learners can see the responses of their peers, they often feel less alone and more confident. This is probably the most important approach to learning that any classroom could provide. Using digital technology to bring together and visualize the thinking of the room allows learners to benefit from all peers at once. The sample text below was often an important text that left my students' memories as quickly as it arrived. By visualizing the analysis, my students could see their decisions and compare their work to that of their peers. This is a word that gets thrown around a lot in education. These days, everything is about collaboration because working with others to make something is engaging. My favorite observation while using Prism was how easily students provided their reasoning for the different results. The debrief on a Prism activity is far more enjoyable than a typical paper-based (or PDF) text analysis (yawn). When the lesson content is focused on contributions from students, they are engaged because they had a say in what the class is doing, even if it is analyzing one part of a text or another. We're not there, yet, but I'd like to have my students make suggestions for text analysis. This would be the student-centered activity design. A good way to work toward such a goal would be to involve students in the process of determining what to label the highlighter colors (as described in number 2 of this list). As we look at the Prism results, questions as to why certain words are larger than others begin to guide our discussion. Along with these questions, students are also asking themselves how the group results relate to their own. In other words, they are questioning how helpful their contributions were to the group. 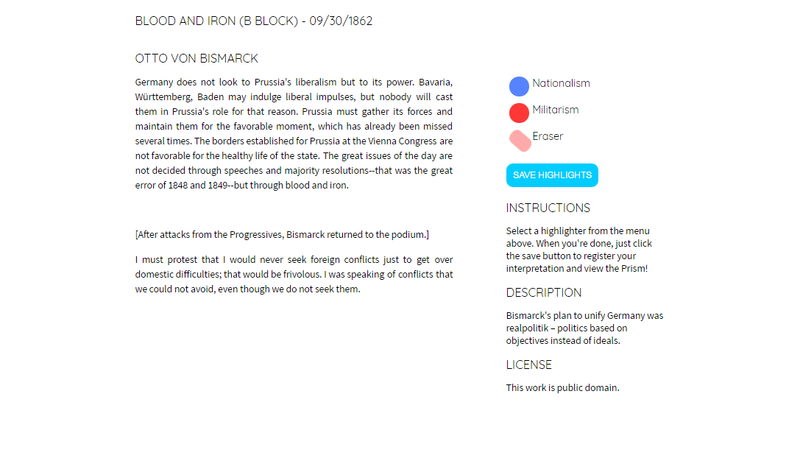 The following activity includes an excerpt from Otto von Bismarck's "Blood and Iron" speech. The highlight labels are "nationalism" and "militarism." 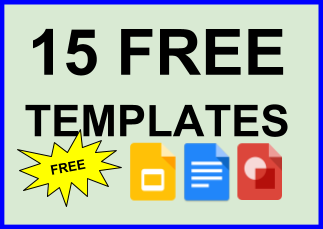 The following posts are about learning with Google Slides. I've enjoyed the various projects that can be made with Slides. Most importantly, my students get to exercise communication and tech skills. 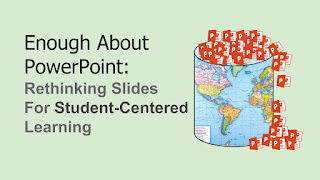 The world has enough PowerPoints, and it doesn't need any more. I've been contemplating these ideas since first hearing them from Alan November. 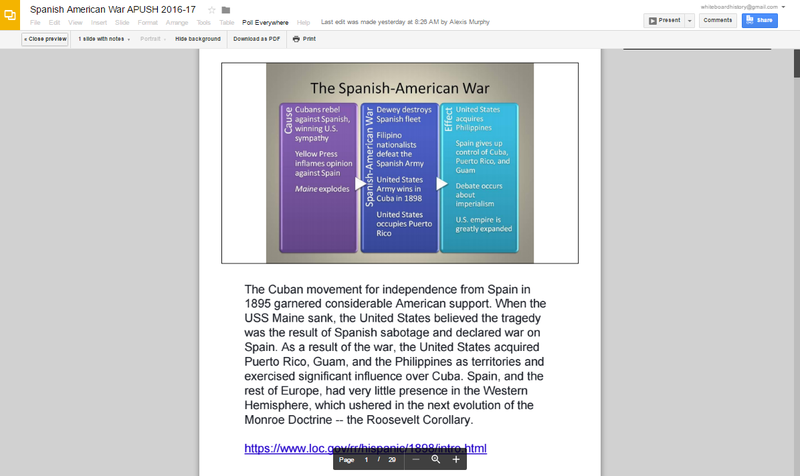 Instead of having students make new slide presentations, he suggests making the lesson about using the Internet to find a good one. This is all part of his position on how critical thinking must be taught in the context of searching the web. 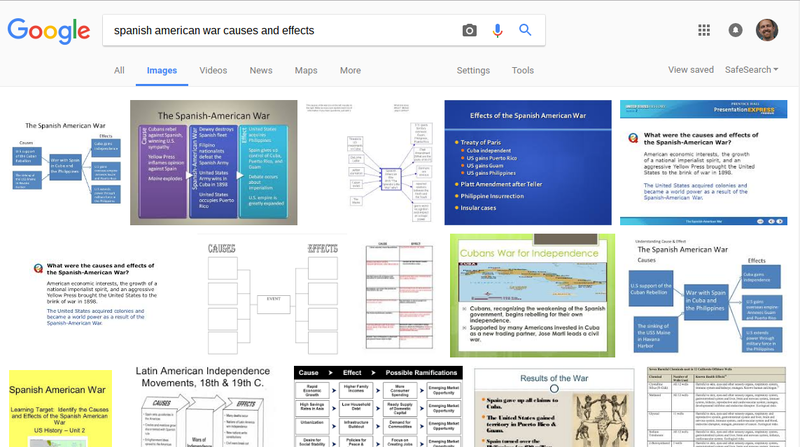 Although searching for ready-made slide presentations is an activity with a lot of potential, we can go straight to an à la carte approach with Google Images. Since sites like Slide Share started using clipper tools, I've noticed a lot of individual slides showing up in image searches. 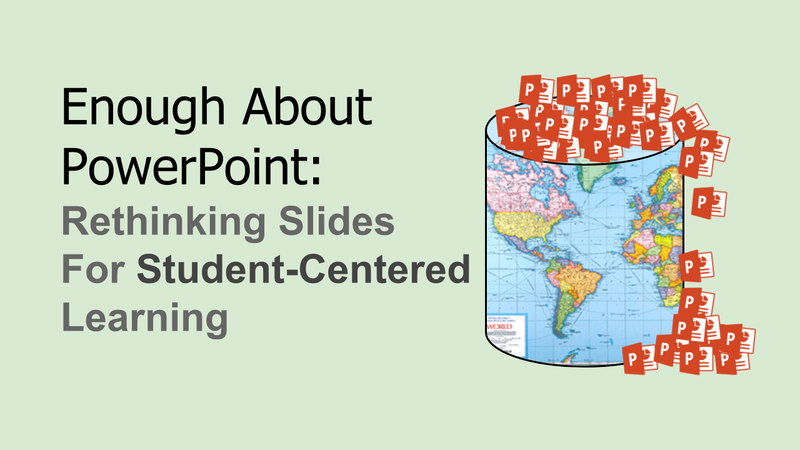 This approach to presentation making provides several opportunities for critical thinking and tech skills. 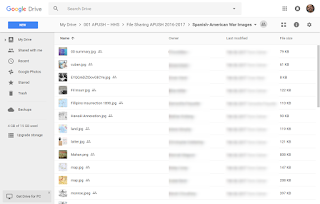 Students learn how to handle image files – a crucial skill for business and lifestyle media sharing – and practice framing searches and evaluating the results. We used Verso App to upload and discuss the slides before working in groups to decide which images to contribute to the final presentation. 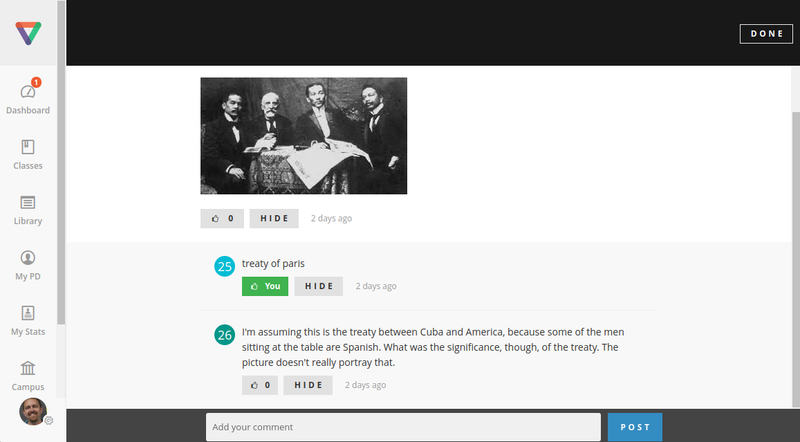 Verso provides a safe place for learners to participate in discussions. Anonymity among the students is maintained, while providing the user identities to the teacher. 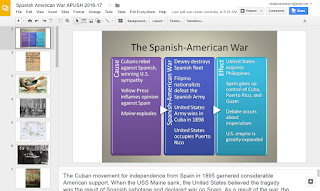 In this activity, students were looking for images that related to the causes and effects of the Spanish-American War. Some found summary slides, while others searched for specific causes and effects. These included political cartoons and headlines for yellow journalism and the USS Maine wreckage photo, to name a few. 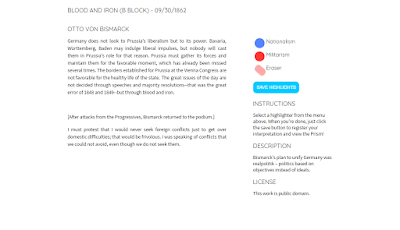 Verso has an upload option for responses. 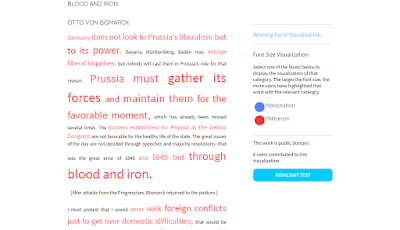 I know that this step may seem like extra work, but the first two steps with Verso allow for the deeper thinking in this activity. Take it away, and we're back to making PowerPoints for the sake of it and missing out on critical thinking that our kids need to develop. Students commented by guessing which event the image represents. If students agreed with a comment already written, they liked the comment. While they commented and liked the correct ones, I reviewed their work and paused to reinforce expectations face-to-face as needed. The way I designed this step lends to skills that support responsible use of social media. 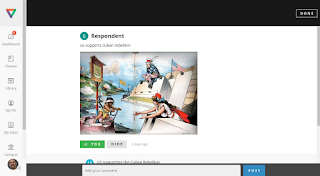 We could add an argument piece by instructing students to provide evidence as to why the image is a particular event. I would add something like that if the final product were a thesis statement or summary paragraph. 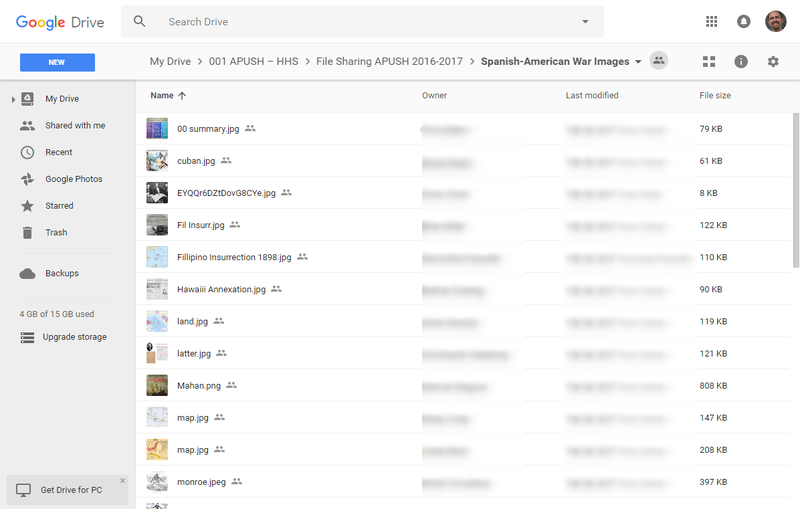 We organized into groups to determine which images should be added to the Google Drive folder, which had editing permissions for every student. This was a simple step in the process, but I thought it was important to get their heads out of the screens for a bit to talk it out face-to-face. As a class, we decided what stays and what goes. I labeled the images based on cause, effect, or trash. Then, we deleted all the trash images and were left with the final cut. Movement could be added to this step by instructing your students to do a total body response – one side of the room is cause, the other is effect, etc. This step was a nice formative assessment and repeated review. At this point, my students know the causes and effects because they had dealt with them in so many ways that make thinking visible. If you haven't checked out extensions by Alice Keeler and Matt Miller, put it on your list. Drive Slides is the name of the one we used to make the slide presentation. It automatically makes a Google Slides document with each image in the Drive folder on a separate slide. 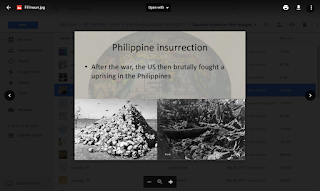 Before I learned about this extension, my students added images to Drive folders for a variety of reasons. The automatic slide presentation that the Drive image viewer makes was good enough. 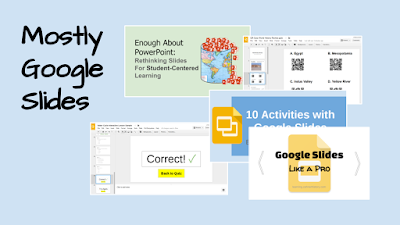 Drive Slides opens this learning routine up to so many more possibilities. Most importantly, it saves a lot of time. Students worked in groups to summarize the issue presented on the slide. 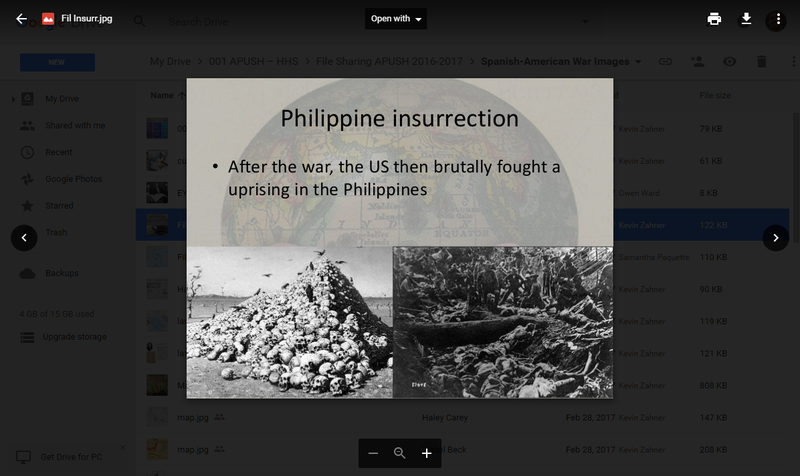 They wrote in the presenter notes, and the slides were printed as a PDF with notes included (image below). In this way, Google Slides is an e-book creator, a flashcard maker, or anything that surfaces when you think beyond the slide presentation as a final product. We use a routine set of questions for reflection. The goal with these questions is to practice metacognitive skills. Without this step, the lesson becomes less "sticky." What challenges did you face, and did you overcome them? How can you use what you've learned beyond this class?